Because so many asked for details on gear and technique after my Micro Tour post, I decided to set aside some time (on my day off, mind you) to head out on the bicycle for another Micro Tour, and prepare a more instructional, how-to type post. Good morning! 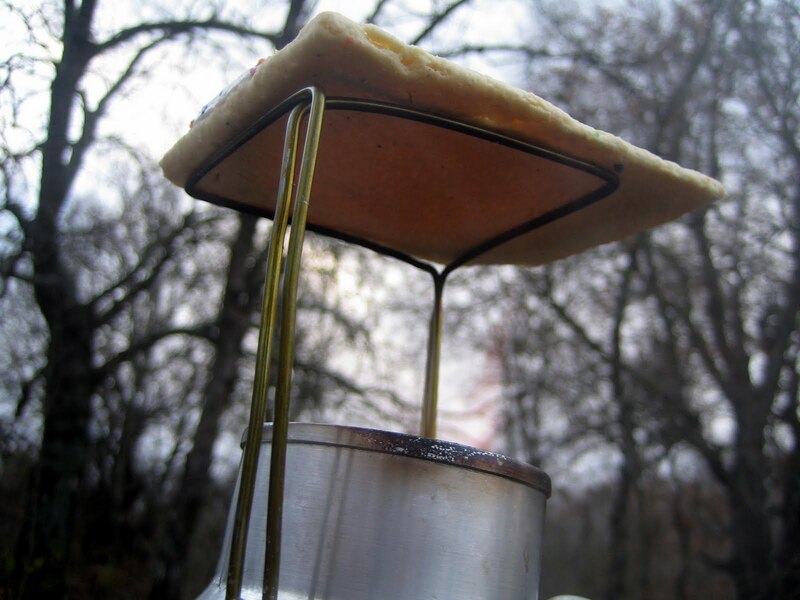 Welcome to our Micro Tour instructional blog post titled, “Coffee Camp & Pop Tart Smoke Out”. My name, is Chris “Pondero” Johnson, and I’ll be your instructor. Although I am a master of the civilized adventure, and am quite skilled in the way of Micro Tour coffee-making, I am technically classified as an amateur. I’d do this professionally, but I haven’t found anyone willing to pay me. I’ll provide a chronological description of some of the more important steps in the process and illustrate with photos at key points. The thing to do is to identify a good Micro Tour destination. 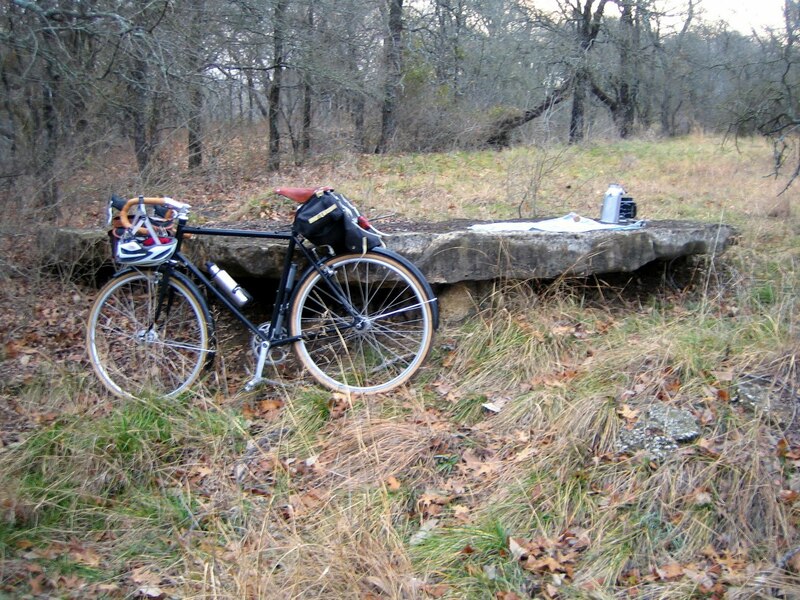 I suggest secluded, out-of-the-way locations where you can practice your cyclotourist geeky-ness without ridicule. 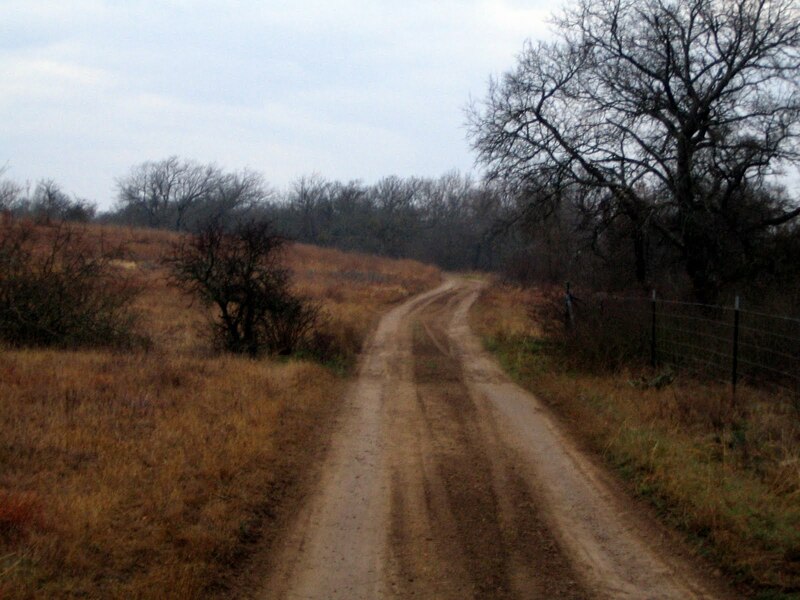 Locations beyond paved roads tend to work well. 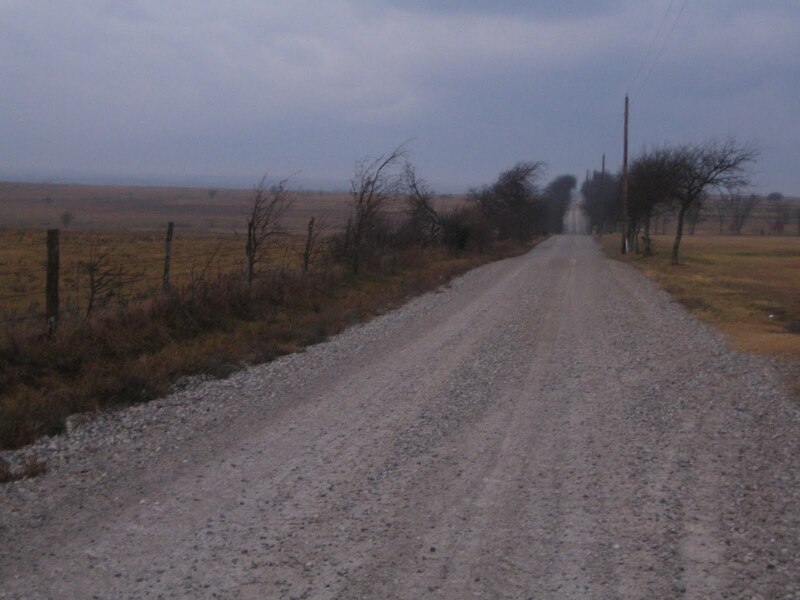 Destinations beyond the limits of gravel roads are even better. 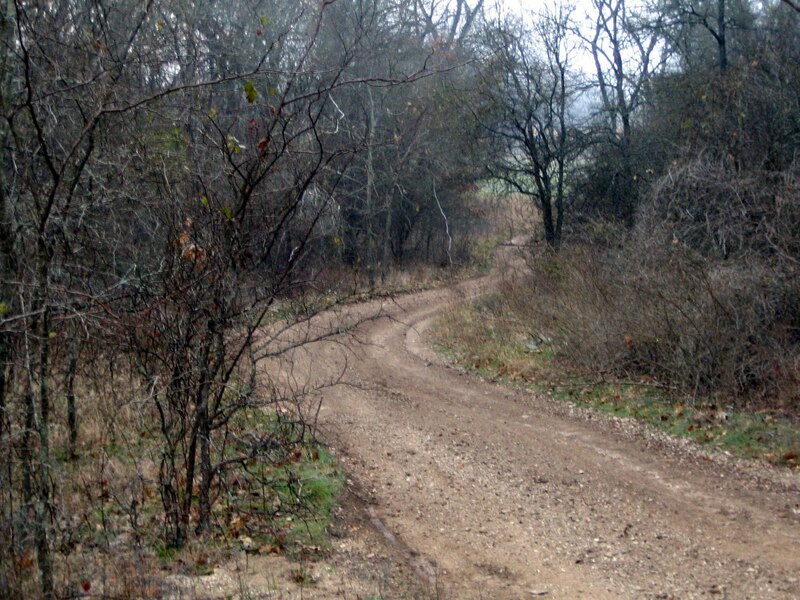 I, to make this as entertaining as possible, went some distance this morning to a secret destination on dirt roads. 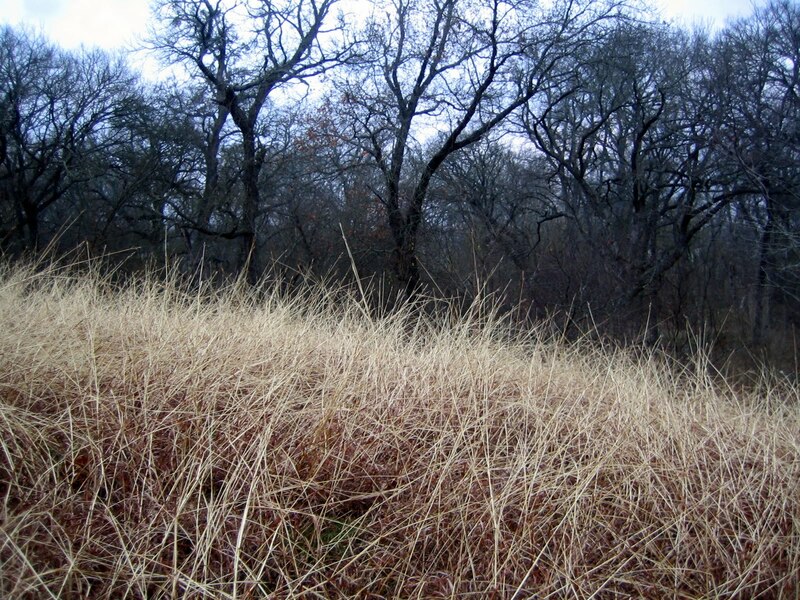 You might be tempted to stop at places such as this grassy hillside overlooking a forested area. It was quiet and out-of-the-way, but since the plan is to enjoy a micro fire, it would be best to move along. 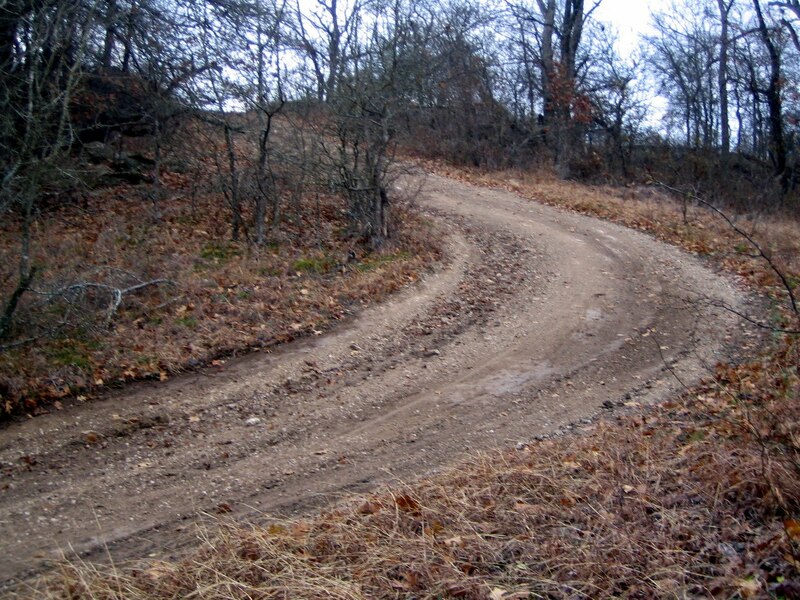 …then up a short, steep rise. This looks like an excellent spot! If you can select a destination with comfortable features such as this natural picnic table and bench, it will enhance the overall experience. After finding a suitable location, you can unpack your gear. In my case, it’s the Kelly Kettle and REI French Press/Insulated Mug combo. …and get a micro fire going. 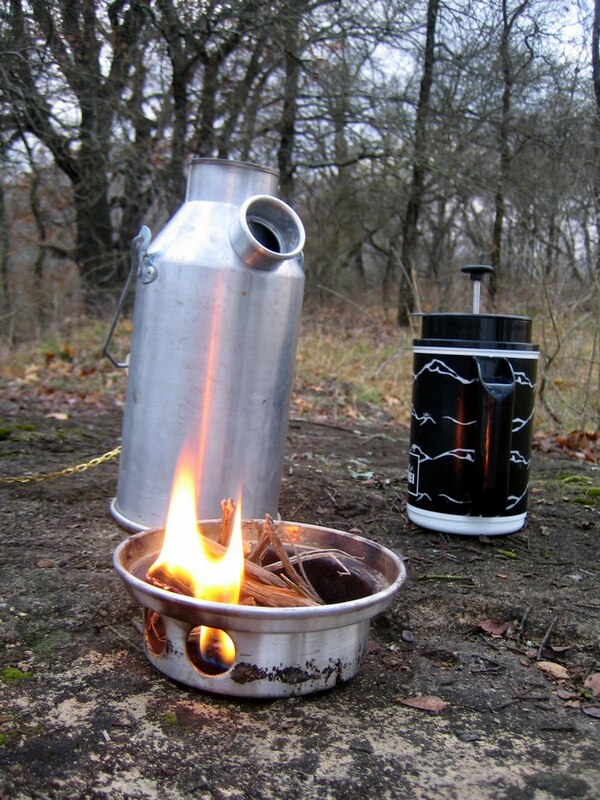 Then I pour coffee into the mug, water into the kettle, set it on top of the fire, and wait for the water to boil. While we are waiting, let’s take a closer look at that press/mug combo. It’s nothing fancy, but it works reasonably well. 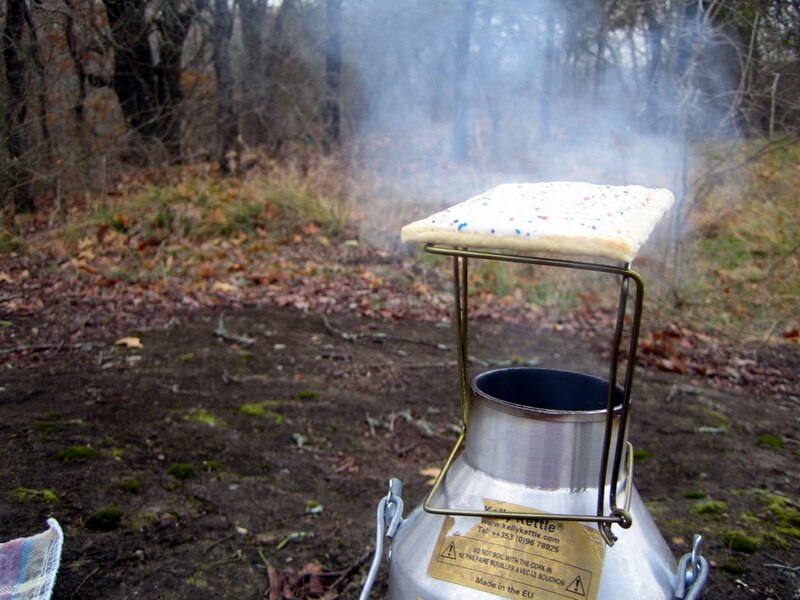 Here’s another piece of gear, my pop tart smoker. Sometimes, when I head out for a coffee camp micro tour, I’d like a little something to eat. Sometimes, I’ll grab a package of pop tarts. If the choice is pop tarts, they are always better toasted (or at least warm). 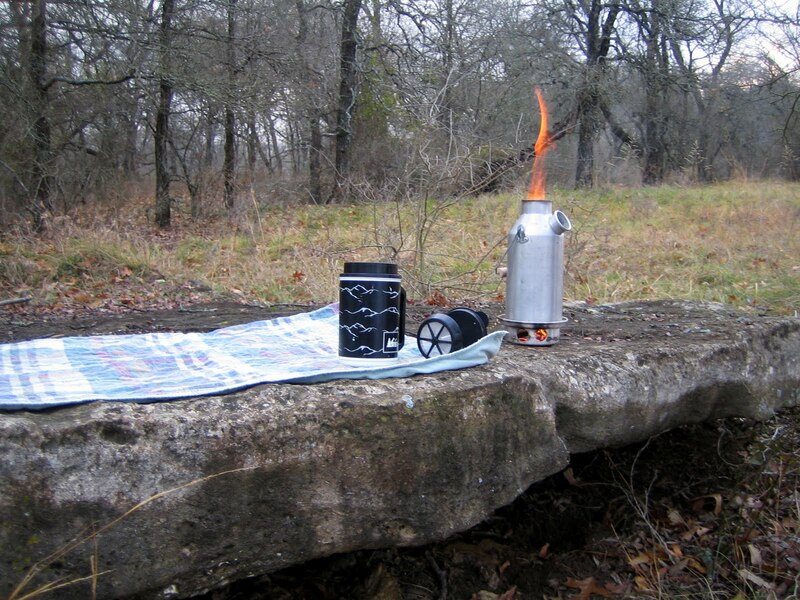 We’ll see this device in operation later…how’s our fire doing? Very well, I see…and I think I hear that water boiling. It doesn’t take long at all. 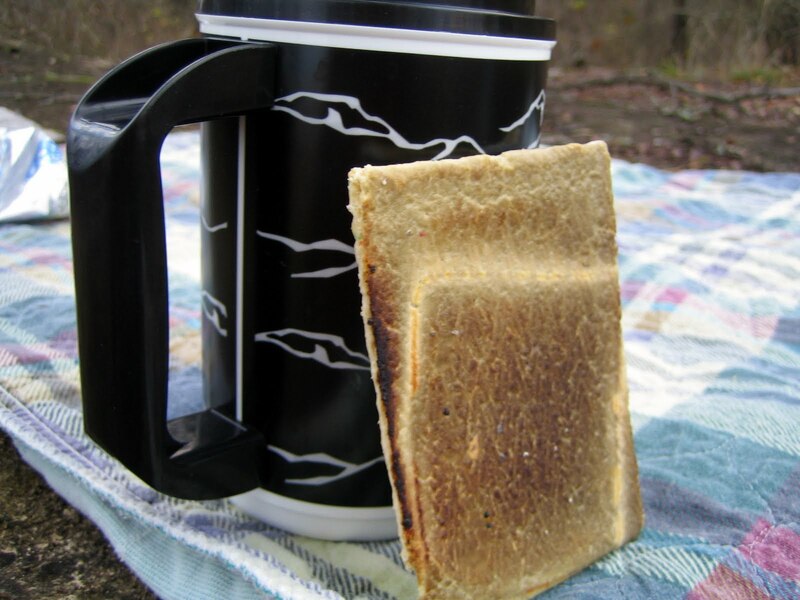 I pour the water into mug, wait for the coffee to brew, and see about warming one of those blueberry pop tarts. I didn’t spend 2 minutes designing this device, and it’s really too high to allow the fire below to actually “toast” very well. 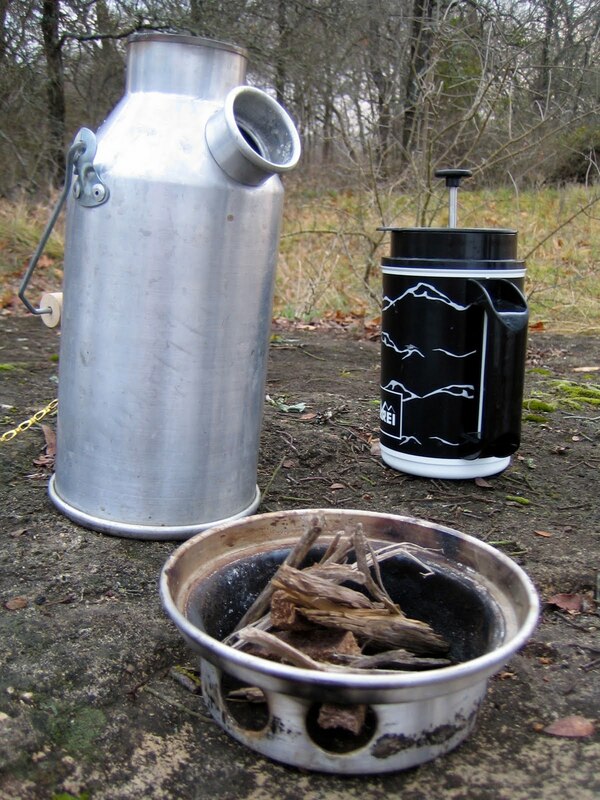 It does, however, allow sufficient space to keep stoking the fire with leaves and twigs. I guess it is more of a “smoker” than a “toaster”. Oh well. See that slight reddish glow? At least, my pop tarts will be warm. Ah yes, sort of a warm, smoky, semi-toasty snack. It is quiet enough that I can hear the sound of birds wings beating the air as they fly, without song, by me. Mission accomplished. Hopefully, you will find this short instructional blog helpful. More than that, it is hoped that it would be inspirational. 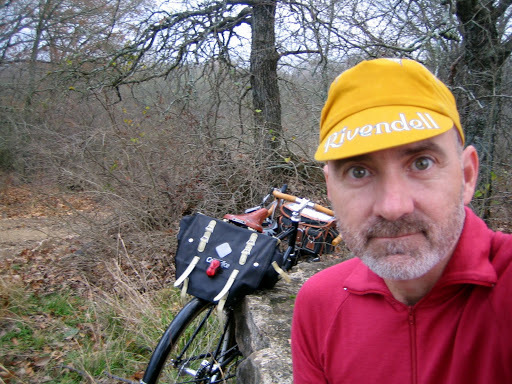 Just think about the amount of fun you can have with only two and a half hours, a bicycle, and a few pieces of gear. 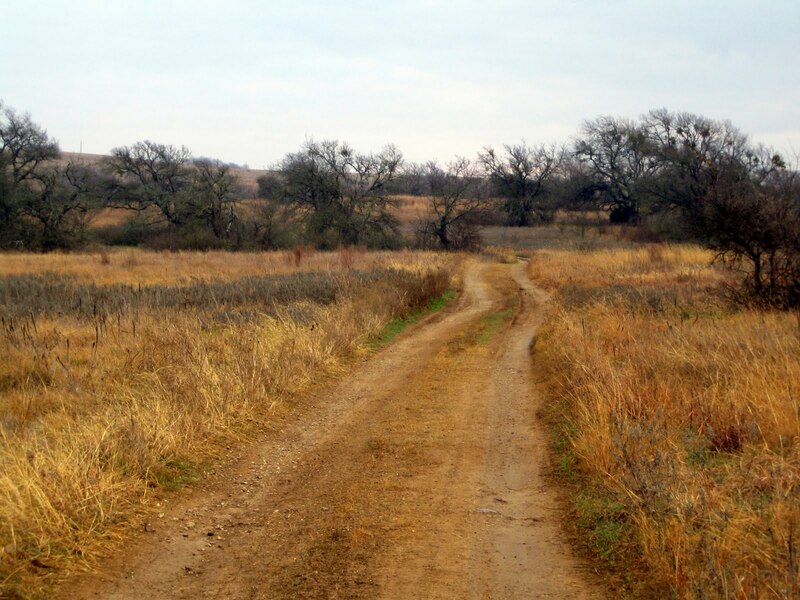 …and pedal on back to my prairie home. Thanks for the very informative post. I'm not sure Pop Tarts are high on my list of stuff to smoke, but I'm sure they taste great on a cold morning. 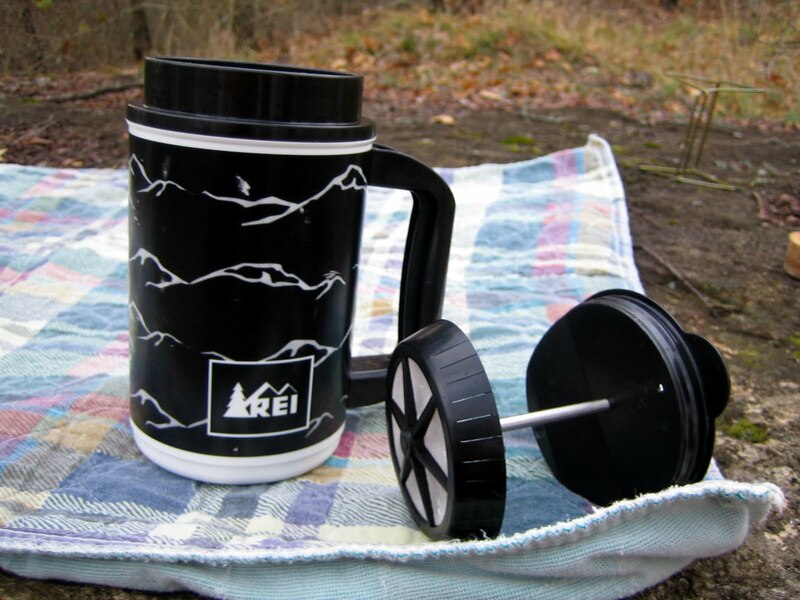 Does that REI press differ from its Starbucks counterpart. I clean forgot to ask about the kettle when I was over. You think it would work OK with a small gas stove? I think the parks hereabouts would take a dim view even of microfires. Okay, I'll admit I kinda like pop tarts, but I'm not proud of it.I'm not very familiar with the Starbucks press, so I can't offer an informed comparison. I will say that the parts on mine are plastic. It's not perfect and I get a few grounds that squeeze past the filter. I just let them settle down to the bottom and try to stop short of draining the mug dry.I'm sorry I forgot to show you the kettle. 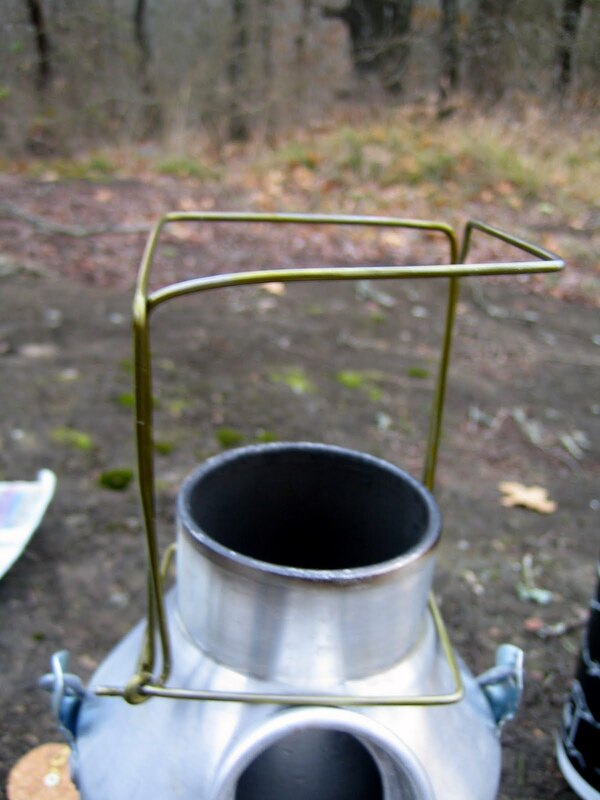 Using a gas stove might work, but it might take a little rigging. Excellent post! Thank you for your efforts, and have a Merry Christmas!cheers. I appreciate the sacrifices you made, in order to inspire others. 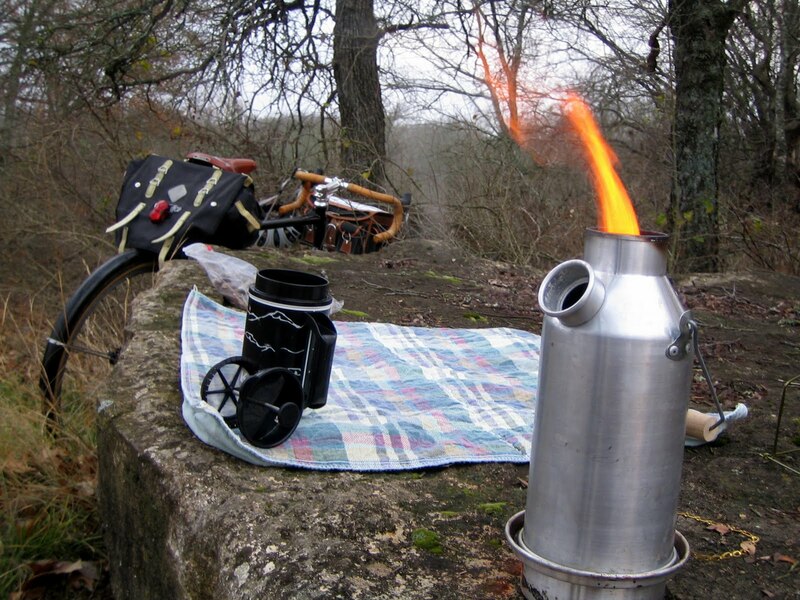 Another fun "micro-tour" … I may have to dig out my alcohol burner and keep it handy, just in case I get the urge. Looks like fun. That was great. Being a pop tart aficionado myself, I can appreciate your enterprising nature. Plus, a smoky pop tart with some fresh brewed coffee outside in a nice spot adds up to a great time! Ah ha! I knew there'd be another pop tart fan out there somewhere…who's not afraid to admit it. I keep meaning to try a Pop-Tart chicken sandwich. Basically a boneless piece of fried chicken between two Pop-Tarts. Sweet and savory. I probably won't try it until my next 600k brevet. Seems to me that it would be randolicious!–Leaf S.
Great rock. I'm sort of obsessed with finding natural furniture. I've been known to stop and take a break right after taking a break just because of some perfect log or rock or something.